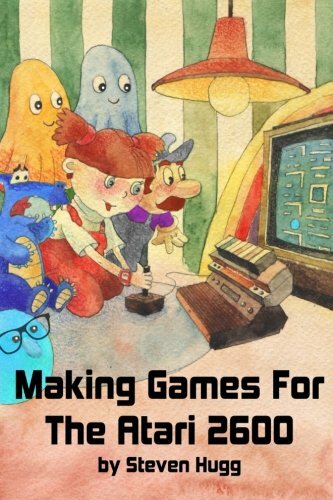 Steven Hugg has released something really nice for Christmas: The book Making Games for the Atari 2600 which is available as paperback via Amazon. The book targets the absolute beginner and builds up the required knowledge step by step. it is very well written and structured with plenty of illustrations. Starting with the basics of the 6502, assembly language, the VCS and TV hardware the you gain more and more insight into coding for the Atari 2600. 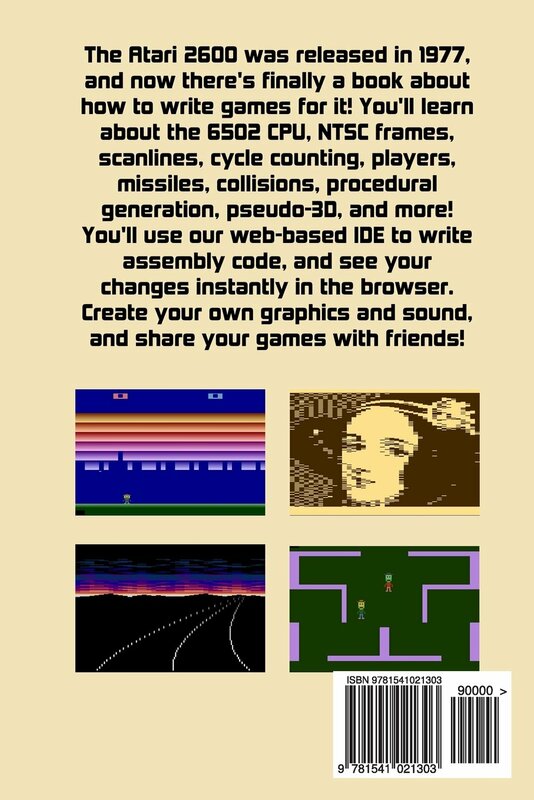 And because the best way learn coding is not to read about but to simply do it, the author also provided a very nice WebIDE where you can just play around with the source code in your browser and run it immediately in the browser based emulator called JAVATARI.JS. The WebIDE is available for free under http://8bitworkshop.com. I'm very happy to see this book and hope it attracts more people to coding for the Atari 2600 by lowering the barriers to just get started even further. And once you have become familiar with coding for the VCS, WUDSN IDE can be used mange the more complex projects with multiple files, includes, graphics conversions and leverage Stella and its excellent debugger. So I'm looking forward to see your first Atari VCS project come alive!